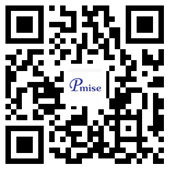 Pmise is Top 10 manufacturer of laser beauty equipment in China. If you are interested in our company or products, welcome to visit our company or local offices; you can also get contact with us through online consulting, demand table submission, e-mails and telephones. Our staff shall wholeheartedly provide product information, application knowledge and good service for you. No.1412, B block, Huaye A area,Liyuan st, Tongzhou District, Beijing, China.